Nancy is four, nearly five. She talks all the time: in the car, on the way to nursery, to her brother, to her collection of bears. And then one day everything changes. Nancy's mum and dad split up, her father moves across the country, and Nancy stops talking. Eva is forty-four, nearly forty-five. She always knew marrying a much older man meant compromises, but she was sure it was worth it – until Mickey dies suddenly, leaving Eva with only his diaries and a voice in the back of her mind telling her that perhaps she's sacrificed more than she meant to. The family are trying to negotiate their way around the parents breaking up and having to invade on Aunty Eva for Patrick's bi-weekend visits. Nancy has stopped talking and can only manage the odd whisper in a safe place whilst Joel is desperate for attention. From the moment I saw the cover and read the description I knew I wanted to read this book. I wasn't disappointed. As soon as I started I was hooked on the characters, 10 year old Joel who can't sit still and has a penchant for musicals, chatterbox 4 year old Nancy and her parents; kooky Caitlin and up tight Patrick. 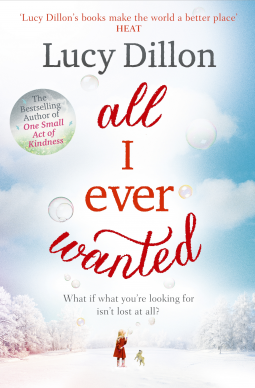 Throw in Eva, Patrick's widowed sister and two adorable pugs Bumble and Bee and you have the recipe for a heart breaking but uplifting story. The story sensitively deals with a number of issues including selective mutism, bereavement and divorce. It gently guides the family through the situations with the reader developing a real ache to want to reach out and help. To be honest by the end of the book I was an emotional wreck. If you want a book to snuggle onto the sofa with whilst hibernating from the cold, then choose this one, you wont regret it. Just don't forget to have the tissues ready! I was kindly provided a free copy from Hodder & Stoughten via Netgalley. All opinions are my own. Evan is a nurse, he is also an assistant. He works for a sponsored Euthanasia project assisting the terminally ill to achieve an end they feel comfortable with. 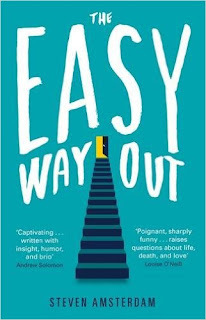 Evan doesn't tell his friends and lovers what he does, and his Mother; who has a degenerative disease seems more than comfortable with his job and his role in her future. As time goes by Evan finds the lines blurred and considers his situation. Who has the choice to live or die? The main character; Evan, has few friends and this is explained by way of his upbringing with his Mother and their seemingly chaotic life. At times he seems detached and others too involved. He has a relationship with two men which he can't fully commit to. He comes across as a man who struggles with emotions. Although not what I would term a page turner, it's interesting and thought provoking. This book covers a highly sensitive subject remarkably well and I believe would help give an understanding of the thoughts and processes of both the patient and the assistant to the reader . Whatever your thoughts on it, Steven Amsterdam has managed to broach the subject with a beautifully careful understanding and an insight into the world of Assisted Suicide through his own work as a palliative care nurse. This book was provided free of charge by Riverrun & Netgalley. All thoughts and opinions are my own. I have one of them and I've stopped reading to him. I love books, I love reading and getting lost in a story with characters I care about and want to join on whatever part of their journey. But I don't want to do it reading out loud to someone who's not really that interested, wishing they were playing on their X-box or watching YouTube and keeps asking me inane questions to waste time. By the time the 11 year old is going to bed it's 9pm. I'm tired and have usually lost patience and the will to live by then. I've been up since 6am, made packed lunches, done one school run, commuted on trains to work and back and done an 8 hour stint in the office. Meals are made and questions are raised about the homework that should or shouldn't be done. I've argued with both children about showers and hair washing and wrangled the 6 year old into bed bemoaning the fact the 11 year old has a later bedtime. I still read to the 6 year old. She's too little for me to stop but I bet I wont be by the time she's 11. Do you still read to your 11 year old? 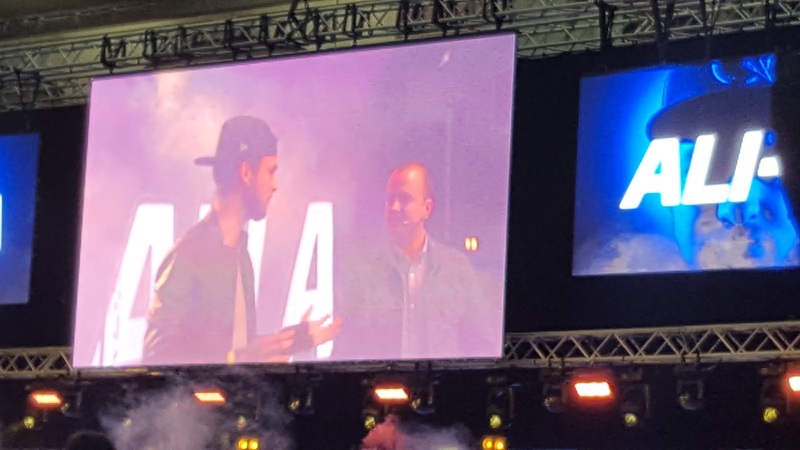 I never in a million years expected to find myself at a gaming event, yet that is what happened this weekend. 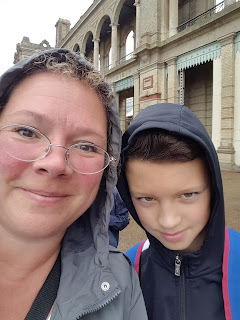 The 11 year old and I went off to Alexandra Palace in North London and spent a whole day at Legends of Gaming 2016. I'm not a gamer in any shape or form. Apart from my recent interest in Pokemon Go. The 11 year old is. From the age of 5 he loved his DS, playing Mario Kart and mini games. He moved onto the Wii where Mr.M and the boy played Mario Kart tournaments, they ski-ed, played tennis, darts, danced and beat up Bowser. Then 11 year old begged for an X-box. That was the game changer for him and us. Gone were the family fun games and in came games where he wanted to be on a headset to his friends and shoot people. So when I saw an advert for Legends Of Gaming, I thought to myself. Aha, I know a young man who might enjoy this event and promptly booked general day tickets for £15 each. When we arrived the queue was huge although moving quite quickly. Luckily we spotted 11 year old's friend with his Dad and we nipped in with them. Slightly soggy in the queue. As soon as we got in, the boys wanted to be off and running everywhere, looking at everything. Within half an hour one of the 11 year old's favourite You Tubers, Ali-A. 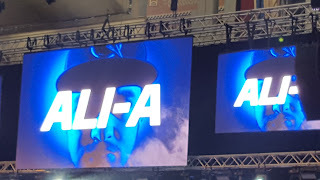 was taking part in a tournament. The boys took their place in front of the main stage whilst the Dad and I waited off to one side. The boys were off the scale excited. Ali-A was competing in a Minecraft tournament against Dan-TDM. 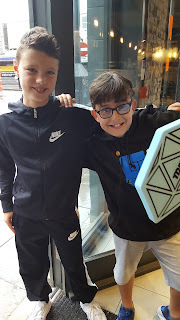 Neither of them play Minecraft much anymore but to actually see their favourites in "real life" was the equivalent of me seeing Gary Barlow. The event obviously had lots of stalls from many, many gaming companies, There were banks of screens all over the place for kids (and many adults) to try out new and old games. 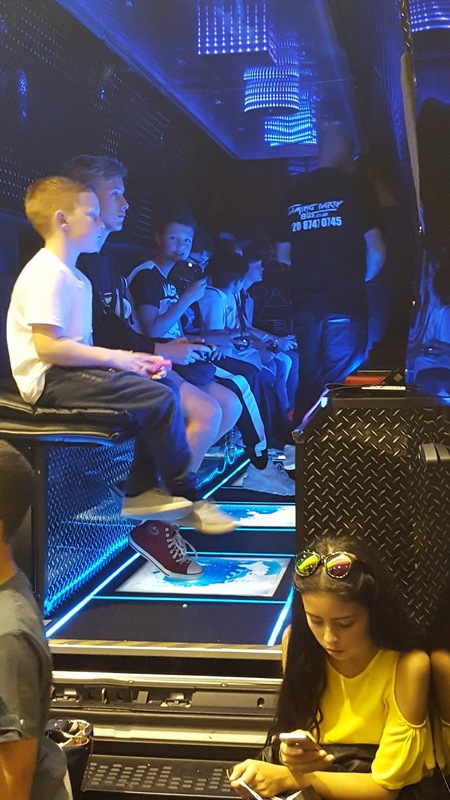 There was the gaming bus and the gaming van. (available for parties). The boys had walked, played, bought expensive Japanese & American candy and overall had a great day. By 4pm we managed to get them out the door. 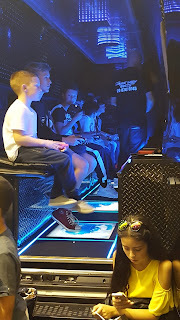 They had a great time and really enjoyed it. If you have a young gamer, I'd certainly recommend this event for 2017. 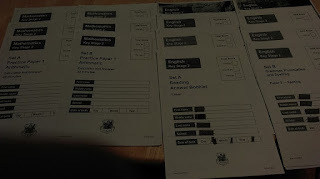 I previously posted about the amount of practice SATs tests my 10yo is currently having to endure Bloody SATS! The end of this current term he was sent home with 12 papers to complete. Obviously, I was horrified at the thought of A) The tears, tantrums and pleading I'd have to go through to get him to complete them B) The tears, tantrums and pleading from him begging not to do them. So I made an executive decision. He's not done them. Here's my letter to his teacher explaining my choice. As 10 year old's parents we decided he didn't have to complete the 12 sets of SATS practice papers he was sent home with at the start of the Easter Holidays. We felt due to the amount of practice papers they have already completed in school time and the undue amount of pressure the school has put on the pupils to pass these tests, he deserved a break which we believe the school holidays are meant to do. As we spoke at our Parents Evening meeting, I said I felt the SATs hold no meaning or worth to the children. You pointed out they will not be fazed by the exams when they happen as they will know what to expect and yes, to a certain extent I agree. However they have been doing test papers since January. They know what to expect by now. They have been told if they fail they will have to re-take them in year 7. That is as maybe, however, it's not constructive to put this pressure on children to pass a test that will have no bearing on their future. The 10 year old has attended four sessions at Explore Learning so has had four hours of education throughout the break. I will return the blank papers for you to use. We have explained to the 10 year old that although it is our choice he didn't complete the work he will probably get a code for this. Am I right to give him a break during school holidays? What are your thoughts on how your school deals with the SATs?